Our popular and best selling range of Low cost QPI, state-of-the-art Q-Impact, or advanced API Plastics Pendulum Impact Testers are designed to meet every budget, and all of your plastics pendulum impact test applications. 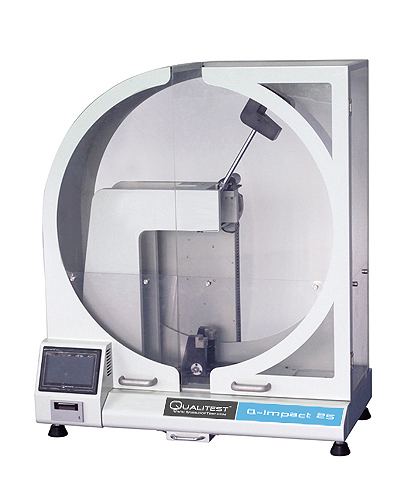 In addition to above models Qualitest offers low cost Notchers for Impact Specimens in basic and automatic configurations as well as other Impact Testers for Drop test, falling dart, Gardner and much more. The QPI-IC Basic Izod Impact Tester determines the energy required to break standard plastics impact specimens. The Notcher for Impact Test Specimen machine can cut various depths for V shapes according to standards. Automatic Notch Maker is designed to notch specimens for Charpy & Izod impact tests.